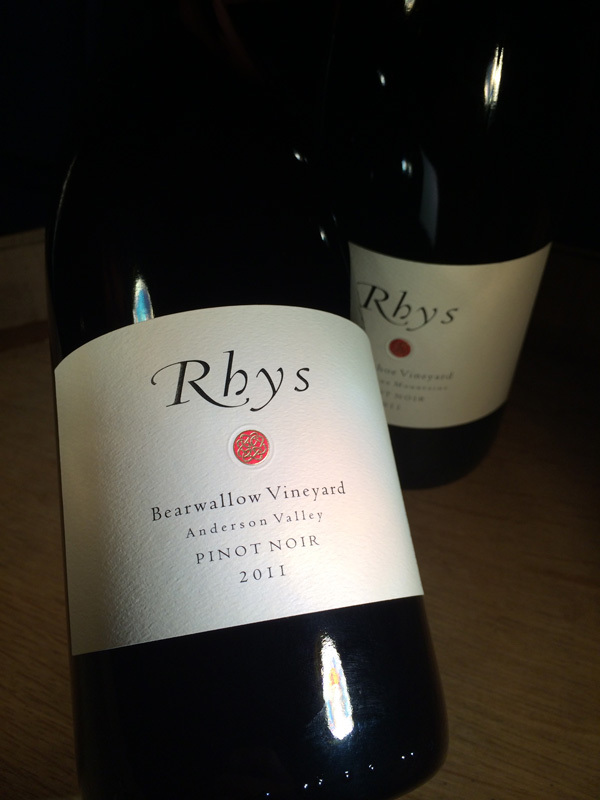 Welcome to the Spring 2014 newsletter from Rhys Vineyards! The 2011 vintage was by far the most difficult we have seen. In a normal year California’s climate is exceptionally benign for grape growing but 2011 seemed to offer every possible viticultural challenge. Budbreak was exceptionally late in 2011. A deluge in March kicked off a very cool and wet Spring. This weather pattern persisted well into June’s critical flowering period. To make matters worse, June brought nearly 10 times the normal amount of rainfall and temperatures remained far below normal. 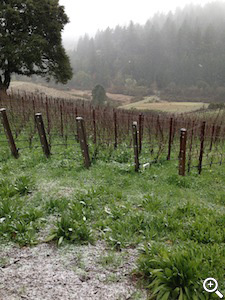 For our vulnerable mountain vineyards, this cool and wet flowering weather was a recipe for disastrously low production. As the berries began to swell in early July it became clear that our crop had been decimated. 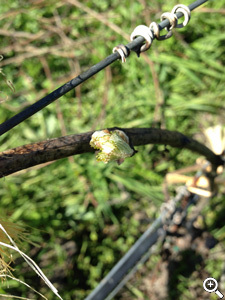 Summer is often very non-eventful in our vineyards but even this post-flowering season was challenging in 2011. 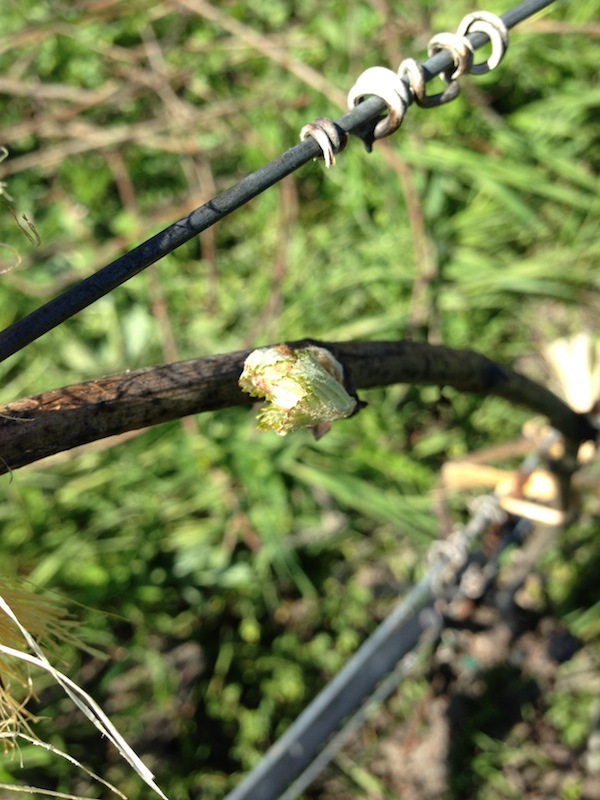 The wet weather and cooler than normal temperatures provided the perfect environment to incubate vine maladies like mildew and rot. Our vineyard crews courageously fought the elements to safely raise the few grapes that had survived the difficult flowering conditions. By August, our heat accumulation indices were running 34% below normal and the vines were a full month behind schedule. September brought much needed warmth but it came in the form of vicious heat spikes. These heat spikes were needed to fully ripen our struggling grape crop but they served to further thin an already tiny crop. After such a struggle we felt some relief when we finally began harvesting our earliest vineyard, the Home, on September 20th. The harvest window held long enough to pick Bearwallow and Family Farm before October brought unseasonably high rainfall to the mountains. Mercifully, the season ended as we picked our last Pinot Noir in early November on the eve of another storm. As you might imagine, such a battle can leave a producer a little shell-shocked but the real pain was felt when we tallied our production. While our mountain vineyards often struggle with flowering even some of our consistent producers, like Family Farm vineyard, were much lower than usual. Spring Snow starting to fall at our Skyline Vineyard. Given such diminished production, we hope customers understand that allocations were forced to be very low for some of our normally abundant offerings. Rather than meter out the small number of bottles over the customary two releases, we have decided to release all of our 2011 estate production in this single offering. The 2011s feature our new easier to read label. As a group we expect the 2011s to be midterm agers, meaning wines that will drink best between age 5 and 15. Of course there are exceptions to any rule and a wine like the 2011 Horseshoe is likely to age much longer. Meanwhile, 2011 was an extraordinary vintage for Chardonnay. Both Horseshoe and Alpine Chardonnays exhibit the combination of concentration, freshness and chiseled detail that defines truly great Chardonnay. The only problem with this wine is how little of it we have. It is an enormously complex and balanced Syrah that does not fit in either Old World or New World stereotypes. There were only 3 barrels but the 2011 Alpine is gorgeous, deep and intense. The very intense fruit is perfectly buttressed by fine mineral detail. The 2011 Horseshoe Chardonnay seemed to respond particularly well to the vintage conditions. It shows the trademark white flower and firm stone fruit character wrapped in a fresh, precise and mineral-laden package. We expect it will evolve beautifully over many years. The character of the 2011 vintage magnified Family Farm’s loamy earthiness while wrapping it in charming red fruit. This will need a few years in bottle but should reward patience. This wine was tight and closed just after bottling but has really blossomed over the last year. It offers perfect balance, beautiful red fruit and the fine finishing mineral spice that defines Bearwallow Pinot. Don’t miss this one. We took the unusual step of completely destemming the 2011 Horseshoe but it is every bit as complex as any Horseshoe to date. It is best described as beautiful and exotic with intoxicating scents and flavors accompanying the weightless black fruit. Like past vintages this has the charming intense fruit of the vineyard but the structure will need a few years in the cellar to completely integrate. With only 3 barrels produced from over 10 acres of vines this was our most heartbreaking bottling in 2011. The 2011 Home offers a gorgeous nose of sweet red fruit and spice. Intensely spicy red fruit on the palate with excellent mineral complexity and charming structure. A real standout this year. This is another great Skyline Pinot. It provides a more accessible package of the amazing baking spice complexity that only this rocky site can produce.